I was recently re-reading Dr. Jamie Cooper’s great book “Complete Nutrition Guide for Triathletes” and I was struck by how similar eating healthy as a triathlete is to, well, healthy eating in general. 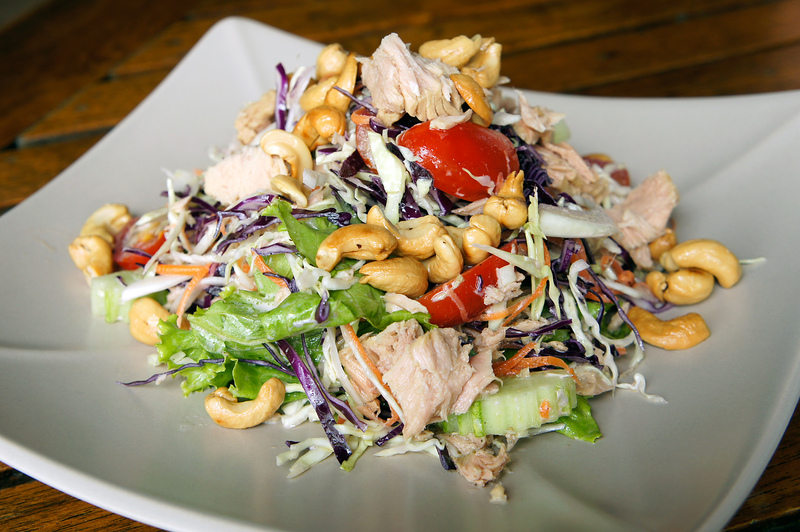 The fact is that most of us can benefit from eating a good balance of carbohydrates, fats and proteins. We all need the same essential vitamins and minerals, and most of us need more water than we think we do! And while triathletes may put a bit more time and energy into the details of their nutrition plan, I believe that the basics are helpful when developing a healthy relationship with food. So, here are my top five ways I would encourage you to eat like a triathlete…even if you’re just going for a walk around the block! The best way that I’ve found to avoid over-eating is to eat throughout the day – every 2-3 hours. By keeping my blood sugar constant, I avoid crashing and craving sugar. Instead, I eat lots of small meals throughout the day. Packing healthy snacks like nuts, fruit, and smoothies makes it easier to avoid high-sugar fast foods choices on the go. Under-eating in an attempt to lose weight can actually cause you to retain more fat as your body goes into starvation mode and burns your muscles for fuel – which is the opposite of the desired result! Eating small meals frequently can help you achieve your healthiest body composition – regardless of your goals. Many good things come in threes: Swim, bike, run. Carbs, protein, fats. If you mentally divide your plate into three at every meal, think, 1/3 vegetables, 1/3 legumes and grains, 1/3 protein. It doesn’t have to be exact, but this is a great start to ensure that you’re getting a good mix of nutrients throughout the day. If it’s not going fuel your body, mind or soul, don’t buy it. I don’t mean never buy treats – I mean buy things with purpose. Make a list before you go to the store, and stick to it. That chocolate cake for your daughter’s birthday? Great idea. Those 6 bags of chips for a Saturday evening? Skip them. 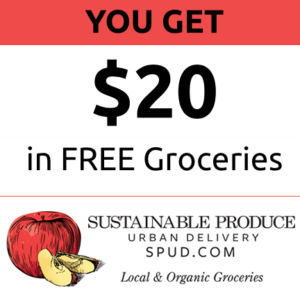 I order most of my groceries from SPUD, so I’m not tempted by the pretty displays in the store – just order and go. This one takes a little more work, but I highly recommend it. Knowing what the various ingredients are can help you to make healthy choices when you can’t prepare your own meals. Some people abide by the rule “if I can’t pronounce it, I won’t eat it.” This is start, but you may be missing out on some healthy choices, especially if you are already on a restricted diet, such as vegan or gluten free. While monosodium glutamate and hydrogenated vegetable oil are well known as additives to avoid at all costs, what about oxalic acid, allicin or cholecalciferol? Understanding food chemistry can go a long way toward making healthier choices. There’s a plethora of good AND bad information out there; I suggest using reputable sources (peer-reviewed journal articles are a great start!) or using multiple sources to make sure you’re getting unbiased information. The other option ix to only buy food from vendors you trust. Knowing that your grocery store vets the ingredients lists makes this even easier for you. Honestly, if you ignore everything else I’ve said – carry a water bottle. If you really don’t like water, try adding some flavor with lemon, lime, or herbal tea. Your body is 80% water, and when you are dehydrated, your brain and your muscles can’t work as well. Your kidneys can process between 1-1.25L of water per hour. And while it’s not necessary to drink anywhere near that much, we need at least 2 litres per day just to function – more if we are working hard. So fuel your body! The site does not provide medical advice. This Web site is for information purposes only. Viewing this site, receipt of information contained on this site, or the transmission of information from or to this site does not constitute a physician-patient relationship. The nutritional information on this site is not intended to be a substitute for professional medical advice, diagnosis, or treatment. Always seek the advice of your physician or other qualified health provider with any questions you may have regarding a medical condition. Never disregard professional medical advice or delay seeking it because of something you have read on this Web site.